I realized when searching for a book to read, what grabs my attention is the book cover. What slows me down in our fast-paced world is….. the shiny book cover. That’s how the author gets my attention. Then I want to know more about the author and book. As I grow my online flash fiction to an e-book or print, I will rely on professional help to design my shiny book cover. I created some nice covers for my flash fiction but decided to remove them and go with a generic banner. My stories are less than 2000 words each, so taking the time to design a cover for each blog post took away from my writing time. “Aunty Jennifer”– I had in mind a crotchety old woman that was a registered nurse who came to visit her brother and his wife during the summer sometime in the 1970’s. They have a teen son named Robert, that just wants to watch cartoons and play with his friend during summer vacation. Aunt Jennifer seems to be in his way all the time. In the editing process, I cut out the part with Robert riding on his bike to get away from Aunty, but the bike is still on the cover. Also, the cover should have had a medical symbol visible somewhere, since being an RN played a big part in the story. The house description and alleyway, all cut from the story, isn’t needed on the cover. I did get one thing right… My name and cover title can be seen clearly on the thumbnail. “Not My Script”– The story had a torture theme. A man was supposed to write a horror story in the book of blood but took no notice. He had disregard for the idea of a chain letter or story written in blood until his best friend received the job. This was my favorite cover. (and story) I wanted a naked man tied to a chair in chains. I settled for a bare-chest, and barefoot man curled up in a corner. A professional could have given me the look I really wanted while keeping the image on the PG side. I did well with the cover title, not as much displaying my name. It’s best to have the title and author name visible as you look at that shiny cover, to help a distracted mind remember YOU. “She’s Not Adam”– The story about a transgender teen’s emotional state. A tough subject that touched the surface on dealing with the impact of changing schools, making friends and social media. How the parents and teachers handle that transition plays a part in her angst. When I described her in my story, I saw a teen with blue eyes and pouty lips. 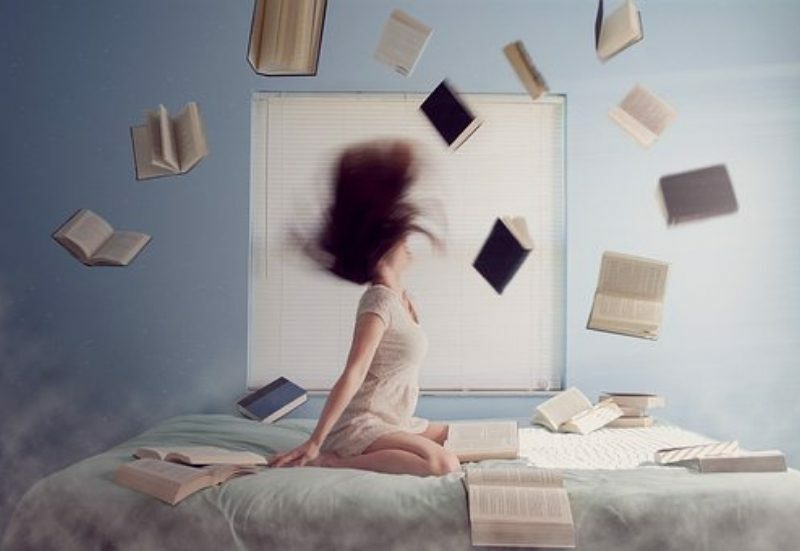 I liked the teen picture I found but when adding the title and school books I chopped off her forehead. And where’s my name? Its there but so small you will miss it. That’s why I say, leave it to the Professionals to help your covers shine. Thanks for the encouragement. Sometimes its hard to see the positive in our creations. When time permits, I’ll practice cover design. I appreciate that you can see the strengths and weaknesses of your own designs—that seems to be a rare feat in a lot of self-published books. But these are actually pretty cool! 100% understand hiring someone to do your cover, but I gotta say, your own covers are good. Certainly far better than most self-published authors out there. Oh…Thank you for sharing your thoughts on my book covers. It means a lot to me from someone established as yourself.